Holland Endodontist Brian J. Buurma and his team offer patients high quality endodontic care in a comfortable and relaxing office setting, conveniently located in Holland Michigan. Combining modern procedures and techniques with state-of-the-art technology, our professional and caring staff will always communicate openly and honestly with you about all your available options, to ensure that your visit is less stressful. Dr. Buurma remains proactive when it comes to embracing the dental industry’s newest advances and cutting-edge technology. Our professional Holland office uses high-quality equipment in all of our procedures, and our friendly and caring staff will always make your overall health and well being a top priority. 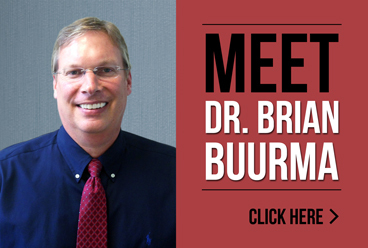 Dr. Buurma’s practice focuses on his patients and their unique needs, not simply relying on the industry’s general practices. He believes that treatment should only be performed when it will benefit the patient, and he and his staff work tirelessly to ensure that each patient is handled appropriately based on their specific circumstances. Our comprehensive office offers a complete range of endodontic procedures and root canal therapies, and we can handle most issues right in our office, eliminating the time, cost and hassle of referring you to another facility. To learn more about Holland Endodontist Brian J. Buurma or to make an appointment, please contact our office or call us directly at 616.994.9722.